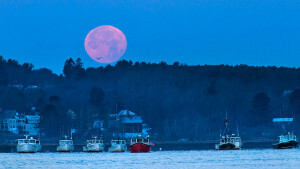 Fishing boats point the way of the tide in the Scarborough River under a full moon at Pine Point on Wednesday morning. It was the third consecutive supermoon. 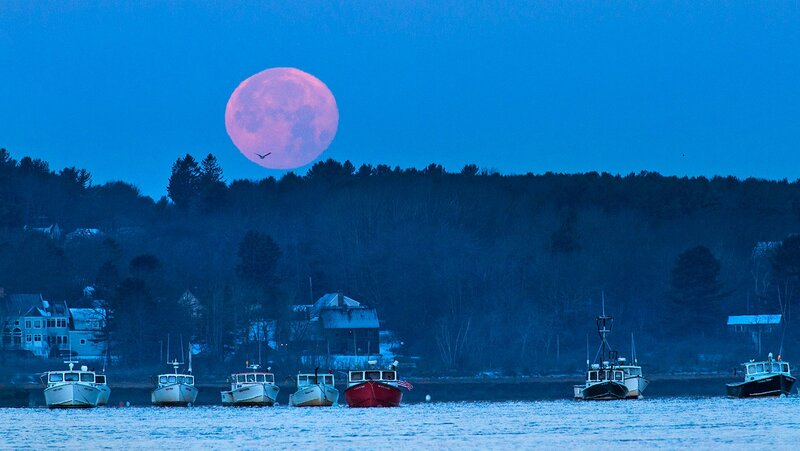 The term “supermoon” is used for those full moons that occur when the distance between Earth and the moon is less than is typically the case.